Nothing beats a crisp April morning spent in a choc-fuelled haze crusing around TVM. Grab a coffee (or a detox juice!) 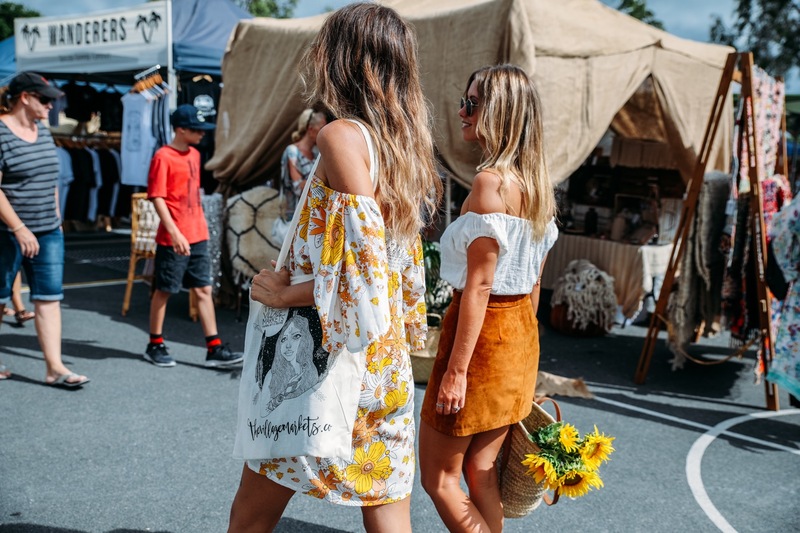 and gather your pals and head down to Burleigh Heads State School to check out the best boutique market stalls, lives tunes and street eats. This Easter Sunday at TVM is looking pretty sweet indeed (pardon the pun!). 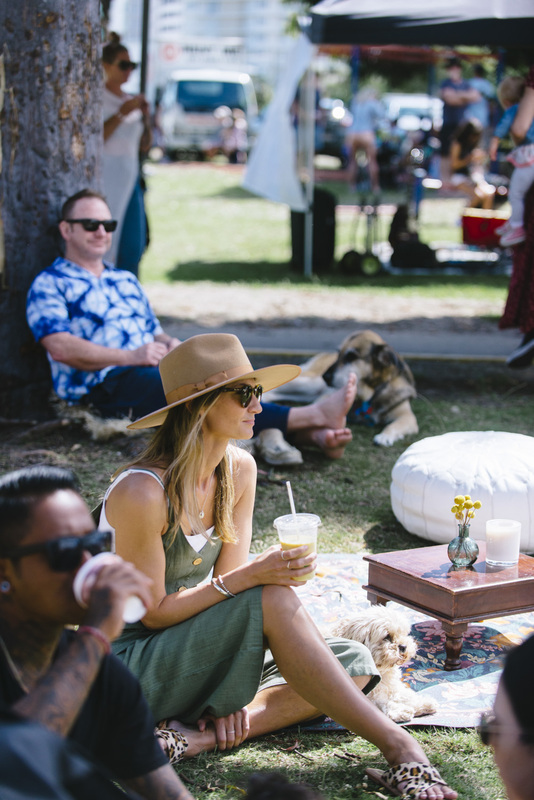 Among an unrivaled lineup of boutique market stalls and delicious street eats, you'll find live tunes by Phil and Tilley and Scott Dalton. 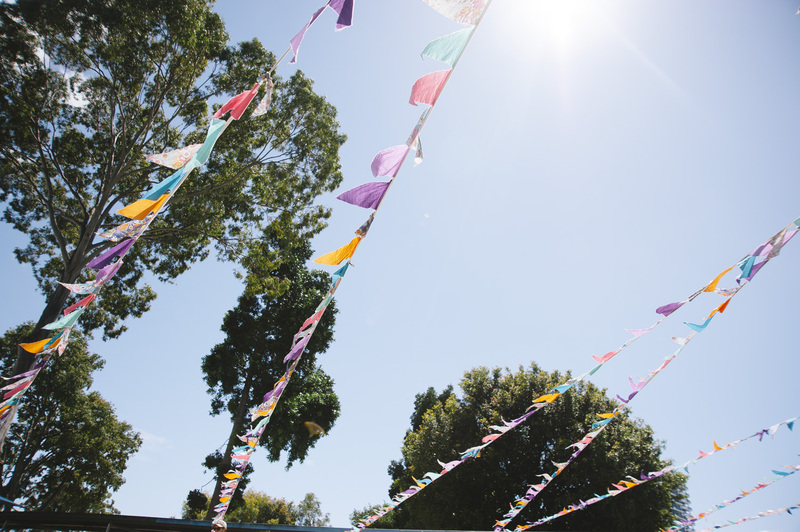 Grab a spot under the trees with your favourite people and hang here for the morning - good vibes, always! Phil and Tilley started writing music together in the autumn of 2012 surrounded by the New Forest (UK) - an ancient woodland situated on the southern coast of England and an inspiration for these lifelong friends. 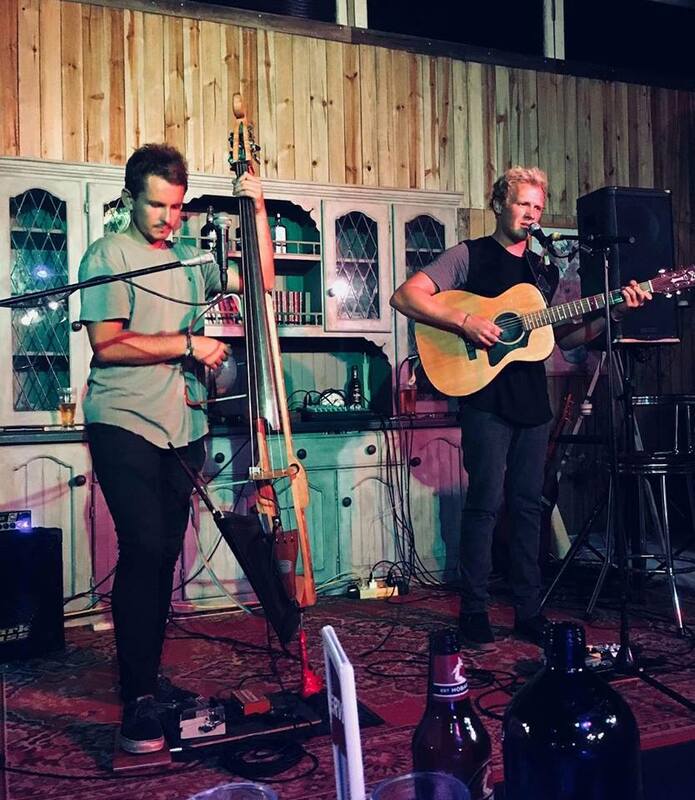 Phil and Tilley play a blend of alternative acoustic/folk music, with influences from artists such as Xavier Rudd, Ben Harper and John Martyn. They incorporate their own ideas, using a slide guitar, the more traditional acoustic guitar and an unusual, fold-up-for-travel, upright bass, to create a sound that is uniquely their own. 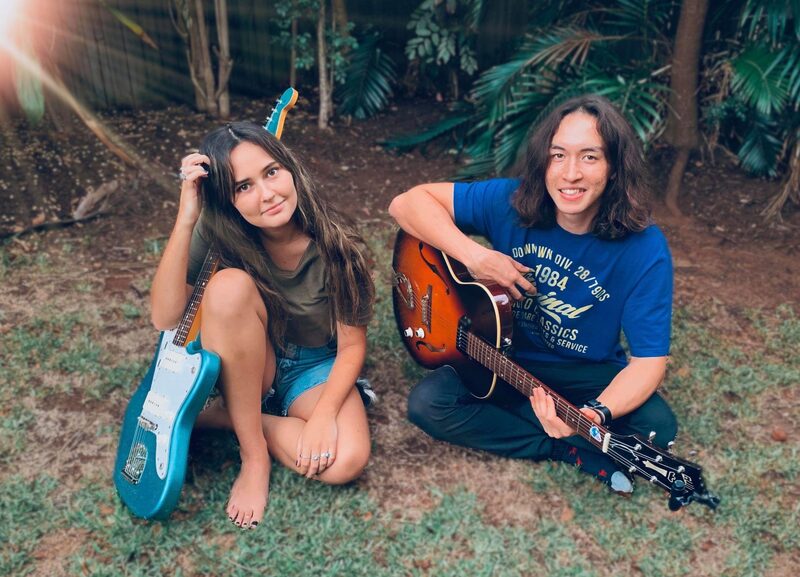 A yearning for travel and playing music has seen them play in Australia, New Zealand, France, Belgium and South East Asia but their story continues to take them wherever the music allows them to go. When Scott Dalton was barely seven, he had abandoned bionicles, swapping Lego for Ludwig. A natural aptitude for the keyboard created a fierce passion for music unfulfilled by just one instrument. By 13, Scott had added guitar to his repertoire of skills, alternating between electric and acoustic. It was in his senior year that Scott realised the potential in his voice, honing his vocals into something of incredible power. Never the underachiever, Scott combined passion, an intrinsic knowledge of the music industry and undeniable talent into launching his singer-songwriter career. 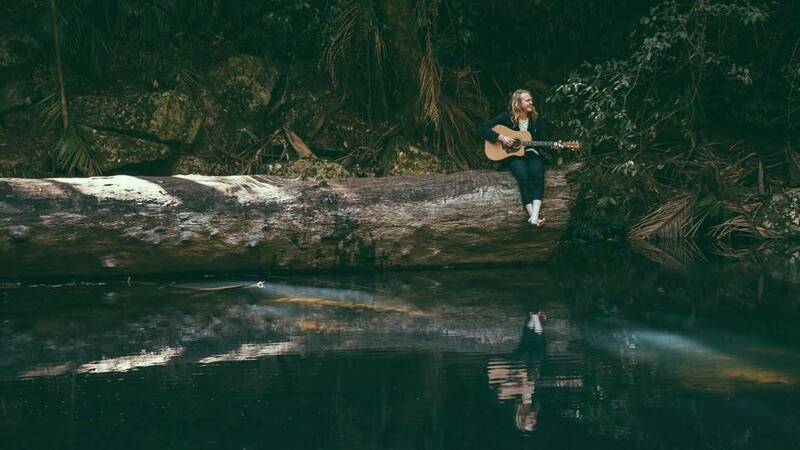 Influenced by a mixture of Matt Corby, John Mayer, Dire Straits and Pink Floyd, Scott's unique sound is one that does not demand attention but entices it. Both intimate and emboldening, Scott's music resonates with his listeners, irrespective of numbers and is not just a song but an experience. 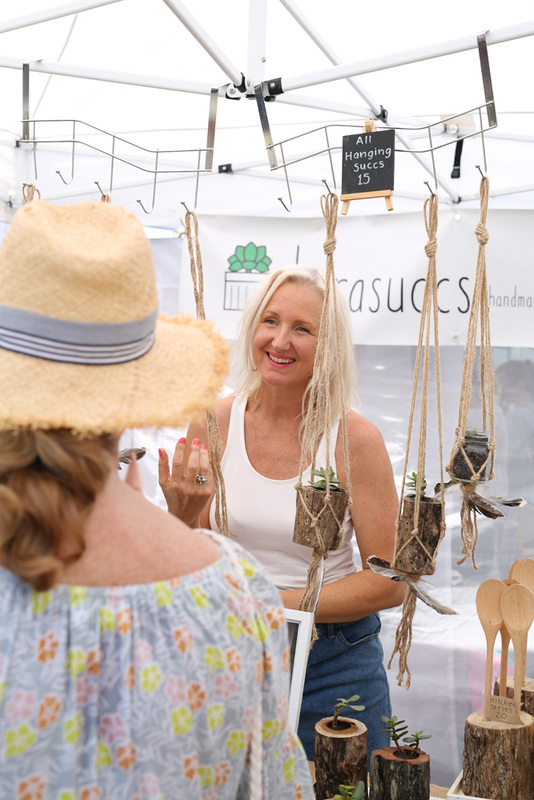 If you're on the Coast this Sunday then you're in for a treat - the Gold Coast's fave boutique market (that's us!) and Sunday must-do event is happening. 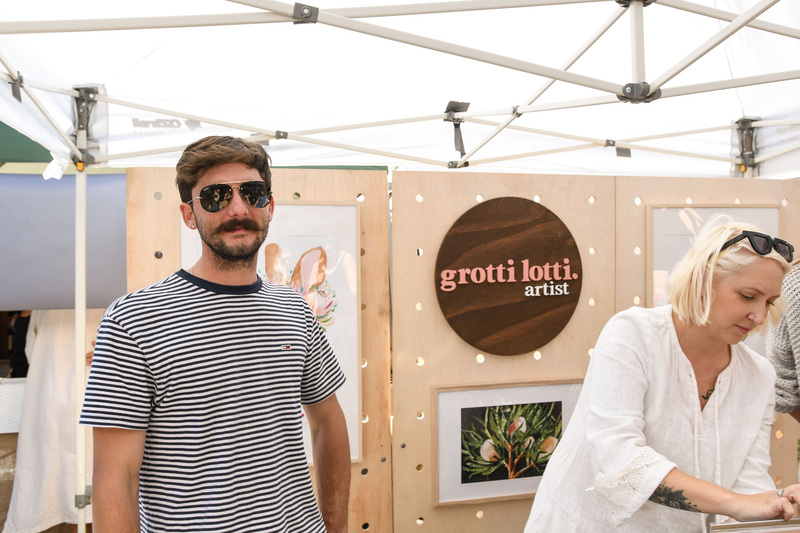 Join us for boutique market stalls by local creatives, live music, street food stalls and plenty of good vibes. We can't wait to see you! 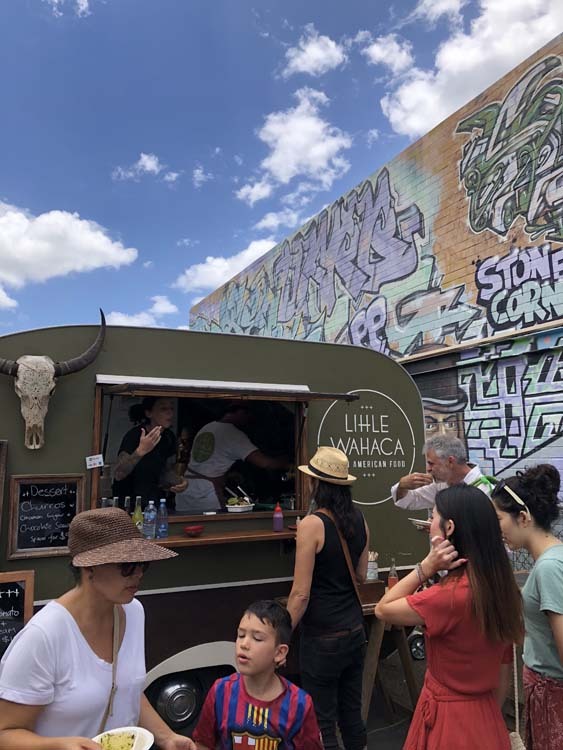 Food stalls include Baby It's Cold Outside, BEETNIK, Hungarian, Jardin Juice Co, Lalah Bali and Jamu Jawa, Little Sprinkles Bakery, Matsu Shaved Ice, Monkey Magic, Raw Earth Organic, Smoothjuice, Weiner Haus, Wild Flower Patisserie. Stalls by Dandelion Wine Art, DESERT WANDERER, Dust, Figbowl, For The Love of Grace, Forgotten Modern, Frocktail Party, Girlgoneretro, Haize the label, Huckleberry Flowers, Jbk, Kopal, La Carolina, Lakiki, Lanaci, Lewd , Liineage, Lotus and Luxe Jewellery, Lubajo Apparel, manning made, Mermaid Collective, Moggy Designs, Nicotte, Olas Supply Co, One Fable, Owlet, Rustic Peppermint, Salty Soul Surfwear, Sleep-in Society, STEVIE JEAN, The Essential Cleaner, Tusk Linen Co, Zeffa and Fosse, Zoozap Eyewear and more. Live tunes by Phil and Tilley (it's their first time at TVM!) and a crowd fave, Scott Dalton. 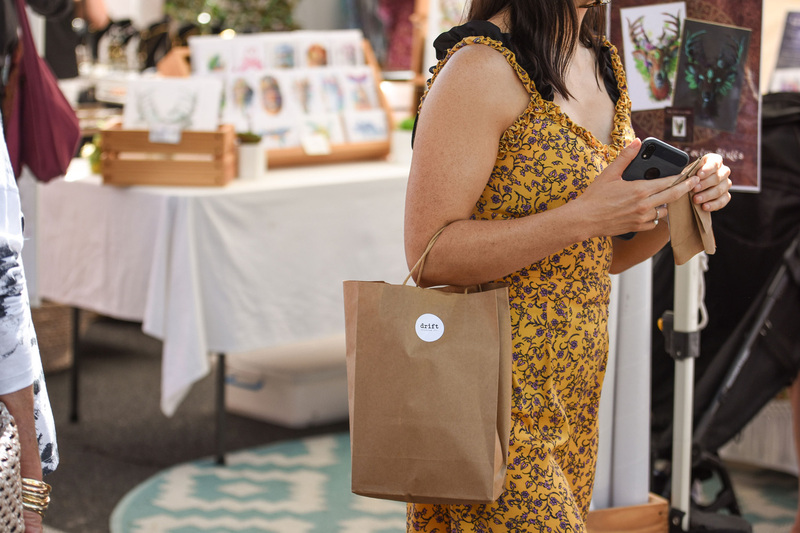 Make sure you pick up a limited edition Good Vibes market tote from the TVM info tent on arrival so you can fill it with your market finds and take a little piece of TVM home with you. 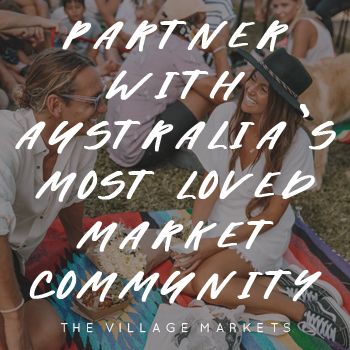 Tag your photos #thevillagemarkets @thevillagemarkets so we can see them! Nothing beats a crisp Autumn morning spent at TVM. 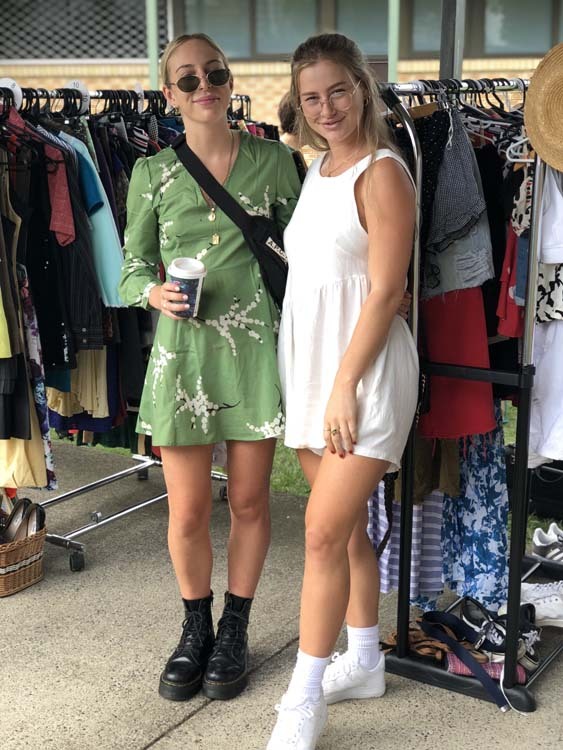 Grab your crew, swing past one of our two coffee vans and pick yourself up a fresh brew, then make your way around our lineup of beautiful boutique stalls, hit the preloved rack sale, then retire to live tunes under the trees. 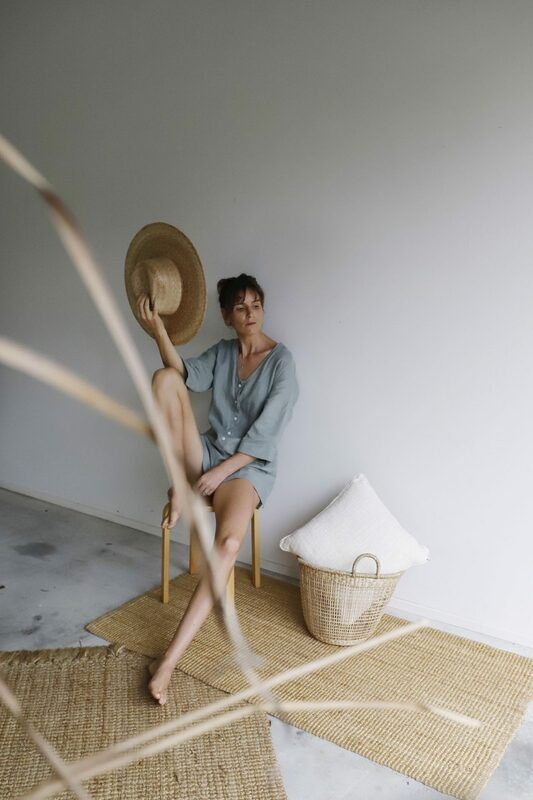 We love getting to know our TVM community and this week we spoke to Natasha Knight, creative and founder behind inspiring fashion and lifestyle brand, One Fable. What does One Fable stand for and how did the label come about? 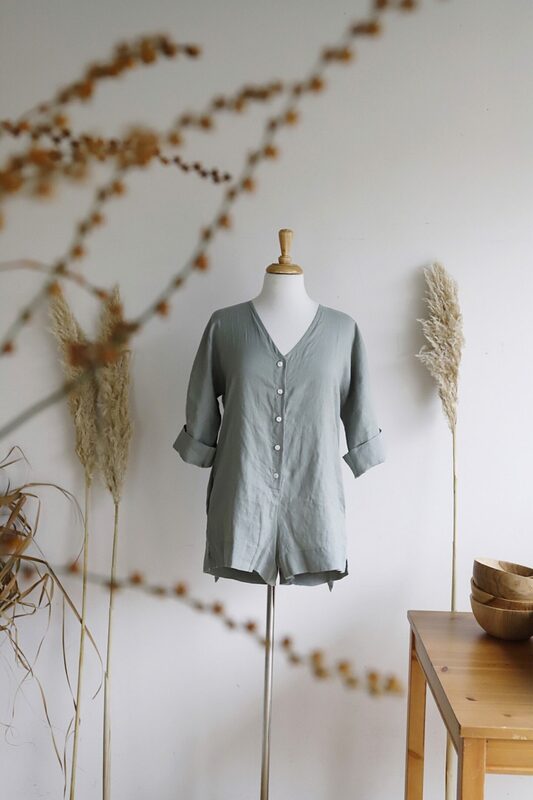 Here at One Fable we stand for simple, natural and uncomplicated style. 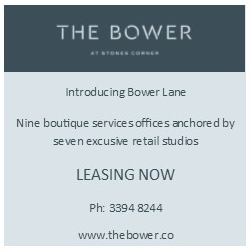 The label began as my Graduate project at UNSW Art and Design in 2015, where I studied Textile and Product Design, with a focus on Artisan made goods. My husband and I spent 6 months living in India, working with various Artisan groups (weaving, block printing, leather craft, & bell makers ). 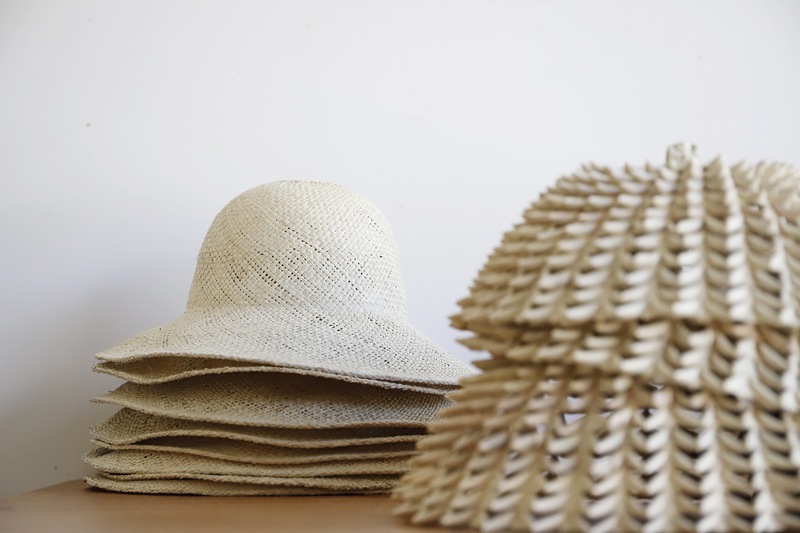 The project was originally a documentary, with a small textile collection, it was a bit of a behind-the-scenes look at the textile industry and the role that sustainability plays within a consumer society. The project was really well received and we won a few Awards, so we decided to take things a step further and create a brand based around our passion for simple and authentic craft objects and fashion. 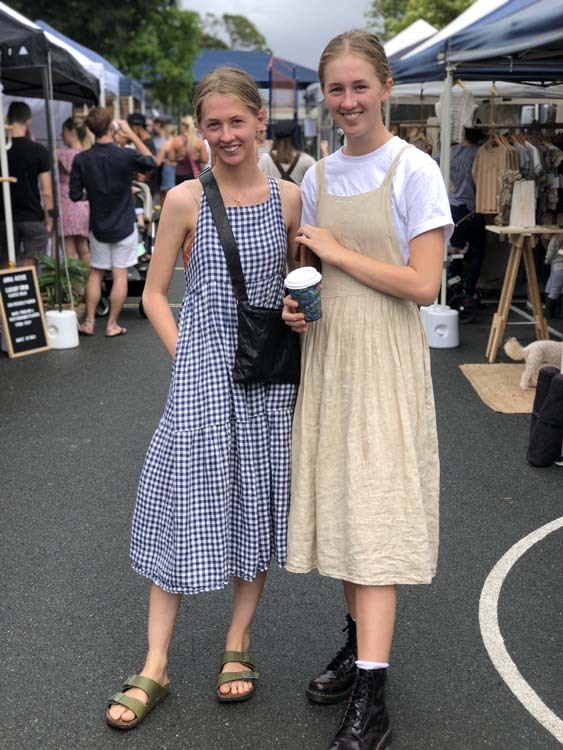 At first, we sold our designs at local markets around Sydney where we were living but we officially launched at Life In-style in Feb 2017. We then had two beautiful babies and decided to move to Byron Bay to live the dream and get a little closer to nature. What products does the label include? We are a lifestyle brand, so our products are quite varied. 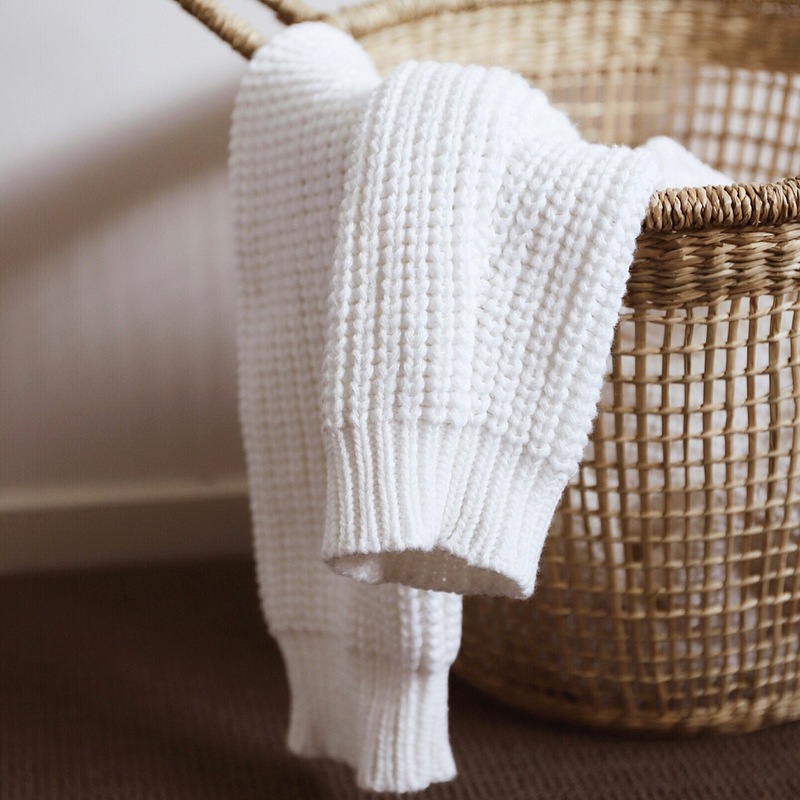 We cover the full spectrum of needs, for a beautiful and laid-back home and wardrobe, such as home decor, fashion, and accessories. 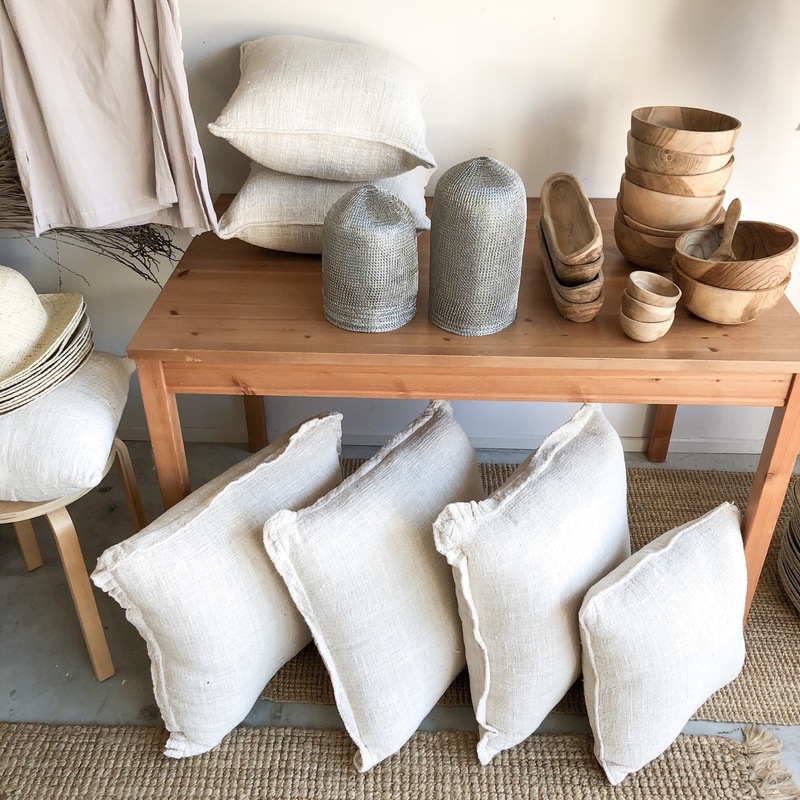 At the moment, we create limited edition capsule collections out of natural fibres, as well as Artisan made decor objects - always simple, and always natural. We believe each piece should compliment your lifestyle, by being easy to wear and beautiful to look at - nothing more and nothing less. Where are the products designed and made? 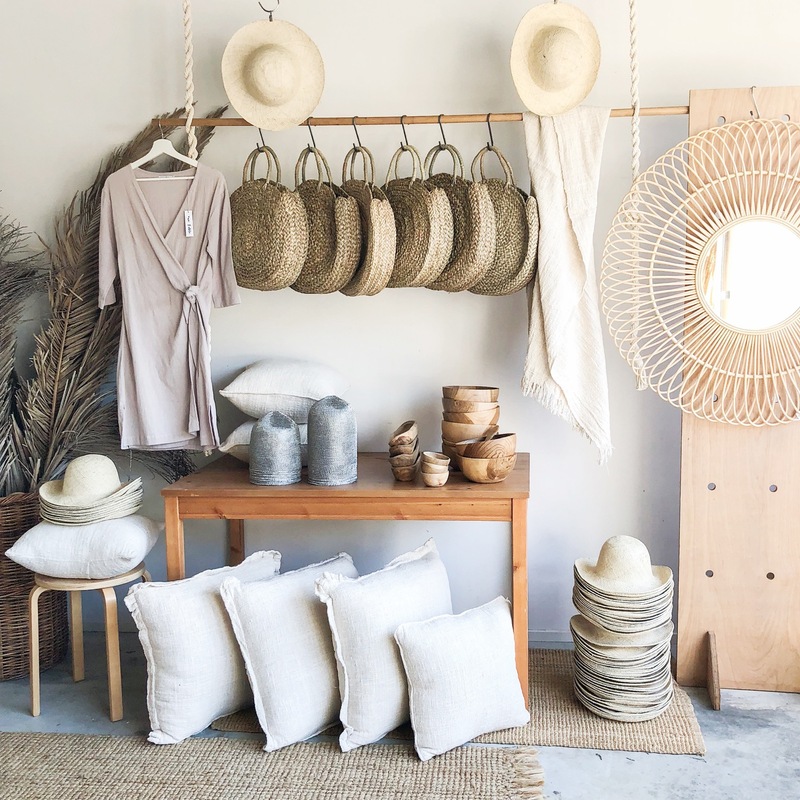 All of our products are designed by myself, here in Byron Bay. 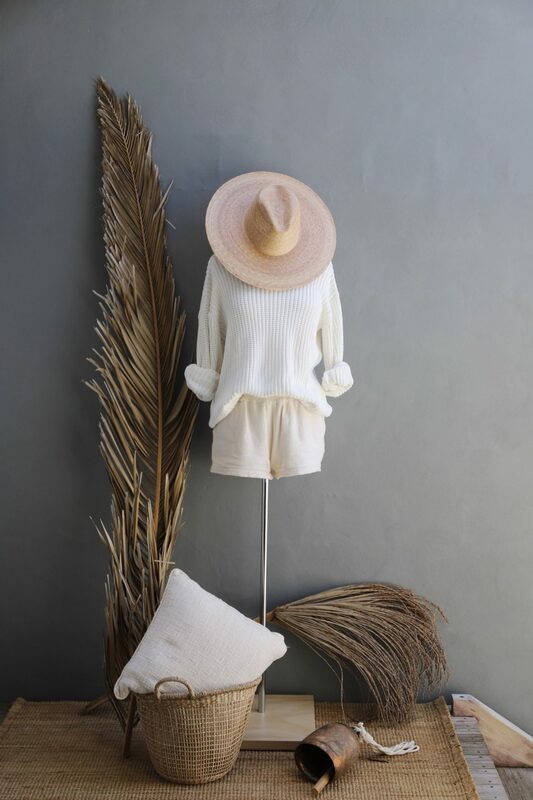 We have a beautiful Studio by the beach, where we conceive and shoot our product ranges. We work with various Artisan groups in India, as well as Bali to bring our designs to life. We travel with our 1 and 2 year old in tow, because its important for us that they understand the beauty and variety that this world has to offer. In the future we plan on exploring Latin America and Europe (I am originally from Canada and my husband is from Italy), so I have always wanted to get back to that side of the world and see what magic we can create. What can we expect to find at your One Fable market stall this Sunday at TVM? As usual, we will try to curate a beautiful world of objects and fashion for you to choose from. Our main focus is on helping others to achieve a bit of effortless calm and style in their lives, by focusing on form, texture and material. We believe surrounding ourselves with natural beauty has such a positive impact on your frame of mind, and consequently how you carry yourself in the world. Do you have one piece of advice for anyone who might be starting a creative career, based on your own personal experience? My only advice is, do it for the love of it - period. Thank you so much Natasha! 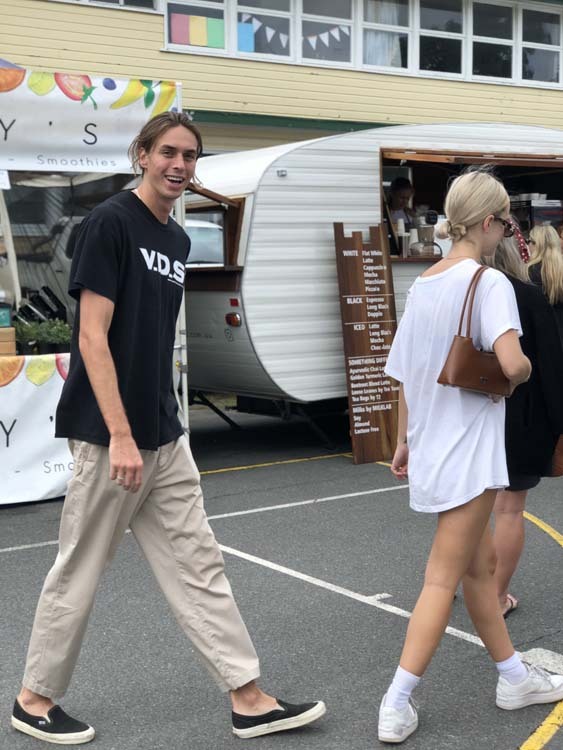 You can find One Fable this Sunday 7 April at TVM (and most other TVM events) from 8:30am – 1pm at Burleigh Heads, or shop online here. 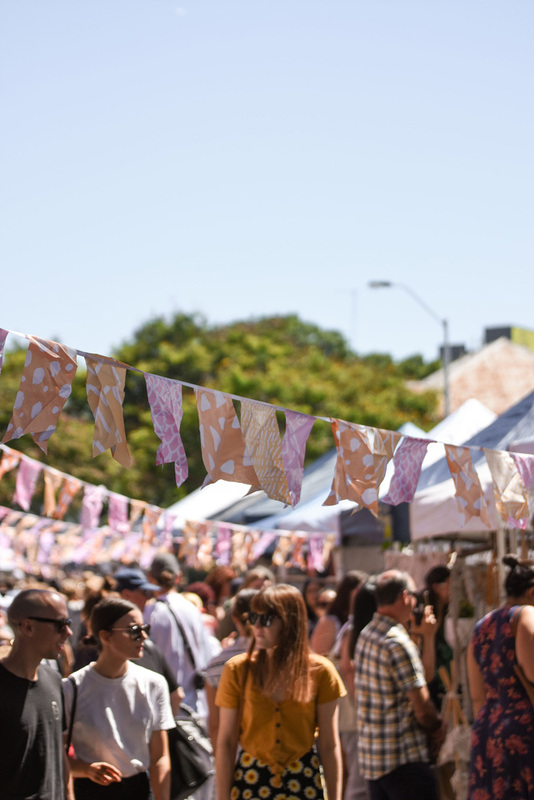 TVM is on this Sunday and we can't wait to see you for boutique market stalls, street food, live tunes and our monthly Rack Sales. Street food stalls include ALEGNA WOODFIRE PIZZA, Baby It’s Cold Outside, Green Mango Salads, Greens On Grains, Hungarian, Jabbawocky Grind, Jardine Juice Co, Little Sprinkles Bakery, Little Wahaca, Matsu Shaved Ice, Monkey magic, Raw Earth Organic, Smoothjuice, The Wiener Haus and Wildflower Patisserie. Stalls include Sweet Child of Mine, 88 Fahrenheit, Alton Goods, Au Fait, Bandeaux, Beautiful Batches, Caz Creations, Coastal Coral, Crawford & Co Handmade, DESERT WANDERER, Divine Creatures Jewellry, Drift Trading Co, Eco Sister, Fabric of Society, Forgotten Modern, Franklymydear, Frocktail Party, Handmade Dreaming Co, HARVEST CLAY, Huckleberry Flowers, Jbk designs, karasuccs, Lakiki, Lewd, Limbo, Little Leas, Lotus and Luxe jewellery, Love of Lola, manning made, Melon & Goliath, Nicotte, Olas Supply Co, One Fable, Rustic Peppermint, Tahlee & Bench, The Essential Cleaner, The Lobster Shanty, The SunLounge, The, Woven Store, Villa Gaia, zeffa and fosse, zeffa and fosse, Zoozap Eyewear, Dolce Organico and more. Pickup your TVM market tote from our info tent and join the Good Vibes club, you will be able to re-use it every time. 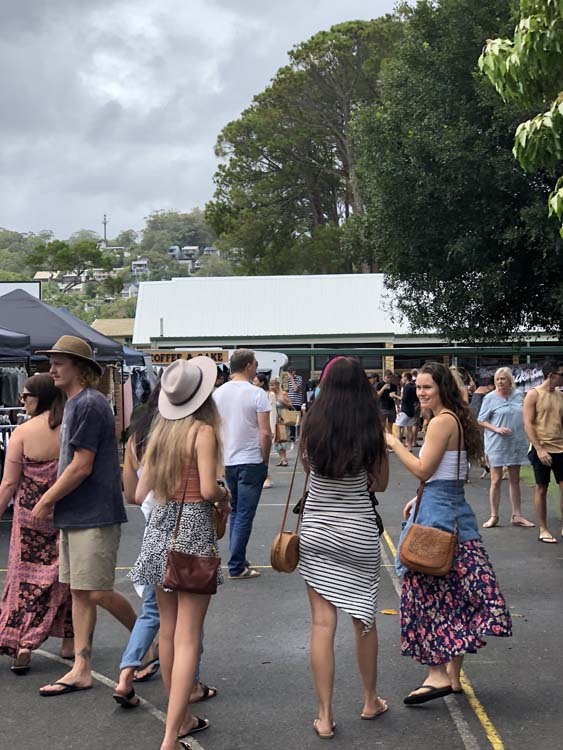 Some parking is available on the oval and in surrounding streets, or you can catch the many forms of public transport that are available to and from Burleigh Heads. 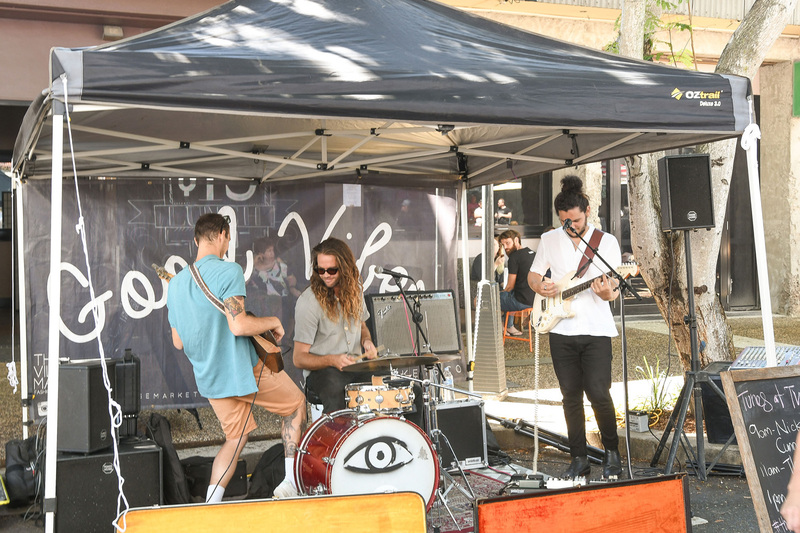 Catch live local tunes at TVM this Sunday in beautiful Burleigh Heads! 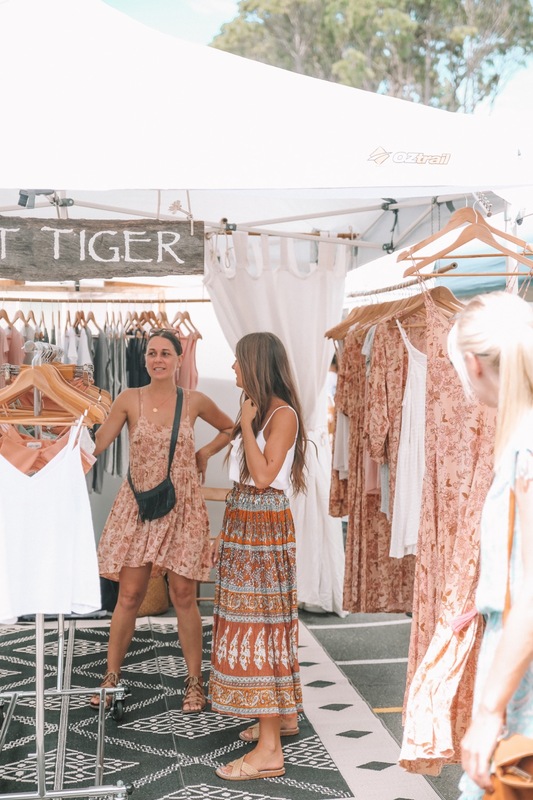 Find The Village Markets at Logan Road, Stones Corner today from 9AM-2PM, we're will be showcasing the best lineup of boutique market stalls in fashion, vintage, art & lifestyle, as well as street food, live tunes and good vibes. 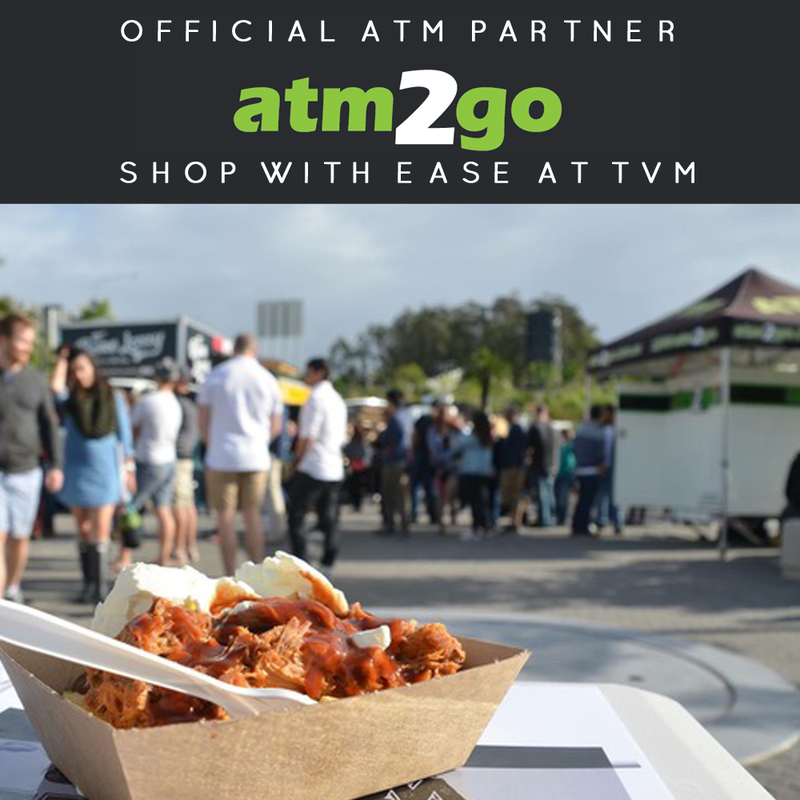 TVM is Brisbane bound this weekend and we couldn't be more excited! 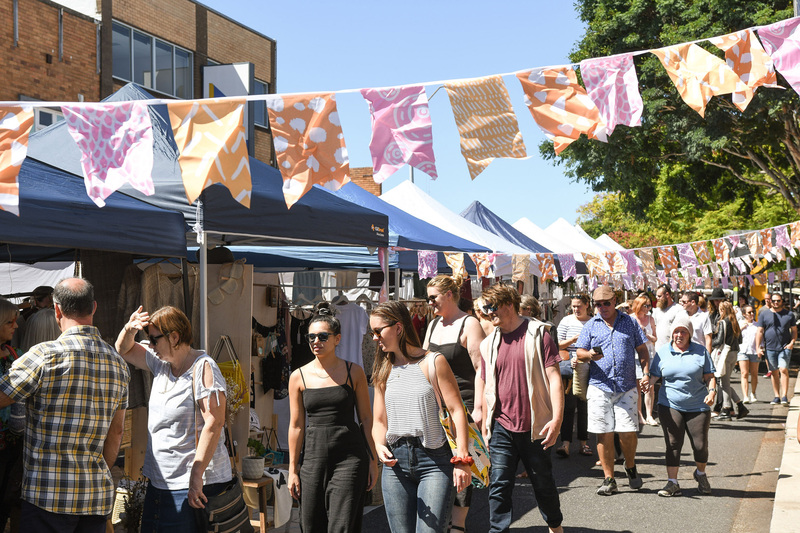 Join our street party and our biggest Brissie lineup to date, with 90 boutique market stalls in fashion, vintage, art and lifestyle, street food, live tunes and pre-loved designer and vintage Rack Sales. 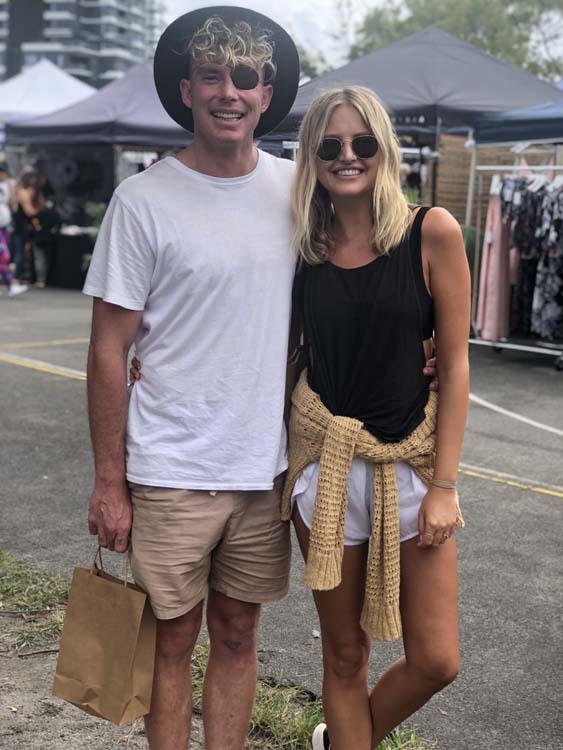 Stalls include AKAZI, eLKa creative, Indie Boho, Knotted Honey, Lila n Me, Lotus and Luxe jewellery, Lubajo Apparel, Lewd, Au Fait, Rustic Pastel, Lokoa the Label, McKenzie HOUSE, Osborne & Co, Solis & Mare, Sahara Blue Co, Alma Mexicana Boutique, Alton Goods, ALULU, Aneara, Annette Daley Designs, Attic Collective, Bam Loves Boo, Caz Creations, Clive Street, Coastal Coral, Comfort & Calm, DESERT WANDERER, Drift Trading Co., Dust, Fabric of Society, Forgotten Modern, Gabsies Beads, Grotti Lotti, Haize the label, Hemp and Nettle, Homely Creatures, inBLACK. the label, Indigo Bay, Jbk designs, Kaiz Studio, karasuccs, kiki j designs, Kita.Designs, Lava Living, Little Leas, Mad Plant Ladies, Melon & Goliath, Night Tiger The Label, Oh Hey Lovely, Prospere, Queenie's, Beeswax Wraps, Rustic Peppermint, Sluggers Swimwear, Smidge, Snoep, Son + Moon, Tahlee & Bench, The Essential Cleaner, The Handmade Collective & Co, The Lobster Shanty, VASH, zeffa and fosse, Zoozap Eyewear, Limbo , One fable, Born The Label, zeffa and fosse and Nicotte. Food stalls include ICED TEA CO, Little Wahaca, Abiocco, The Wiener Haus and more. We’re supporting local charity group the RSPCA this Sunday so come and swoon over their gorgeous adoption puppies! 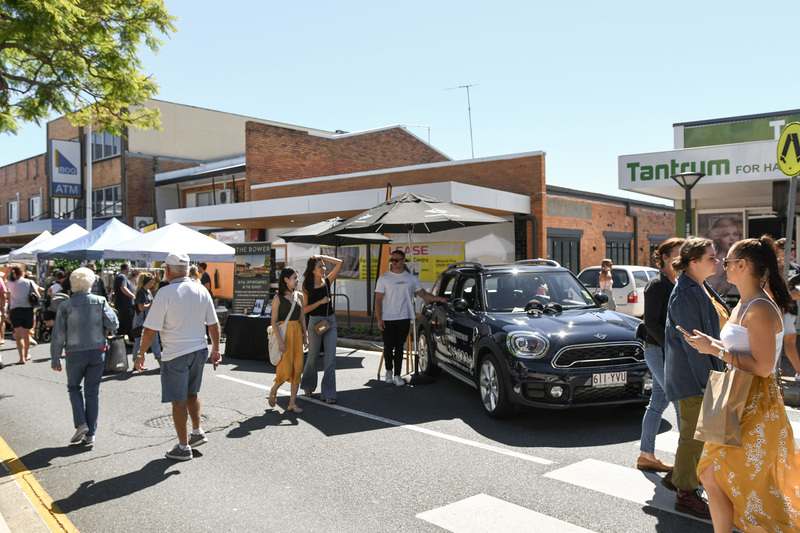 We're also looking forward to welcoming Motorline MINI Garage Springwood and The Bower to TVM this Sunday. 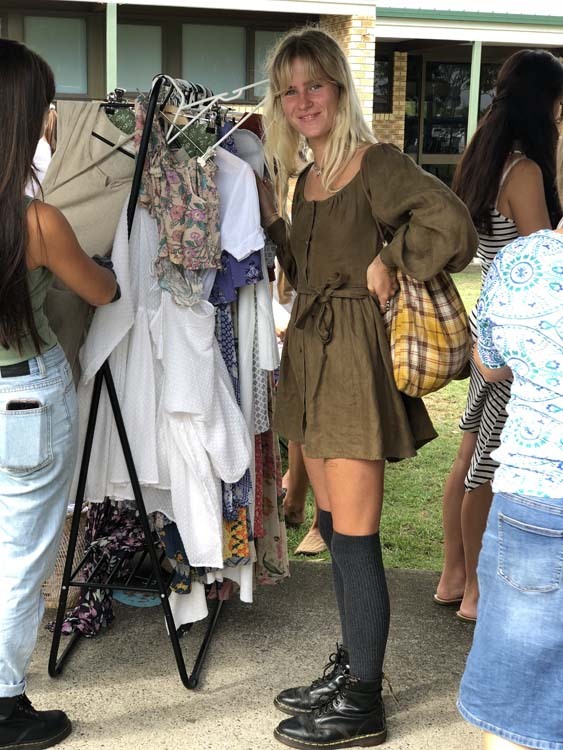 Our first pre-loved designer and vintage Rack Sale is also happening this Sunday at TVM Stones Corner, with locals peddling their pre-loved wares for bargain prices. (There are still some last minute spots available to join this lineup so jump on and apply now). 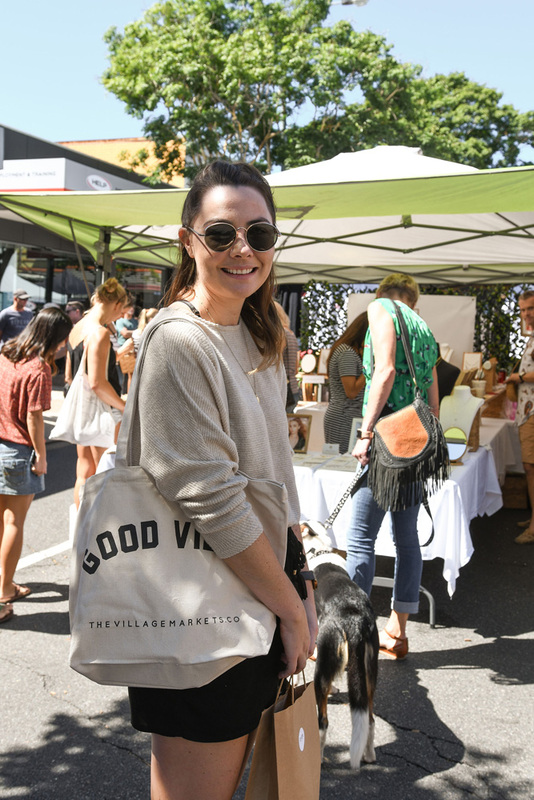 You can pick-up your very own Good Vibes TVM merch and market tote from our TVM Info Tent this Sunday too! Tag your pics so we can see them at @thevillagemarkets #thevillagemarkets and be sure to tell your friends, here. This week we introduce you to Hannah Holmes, founder and creative behind children's label Bam Loves Boo. TVM: How did your journey into running your own business begin? 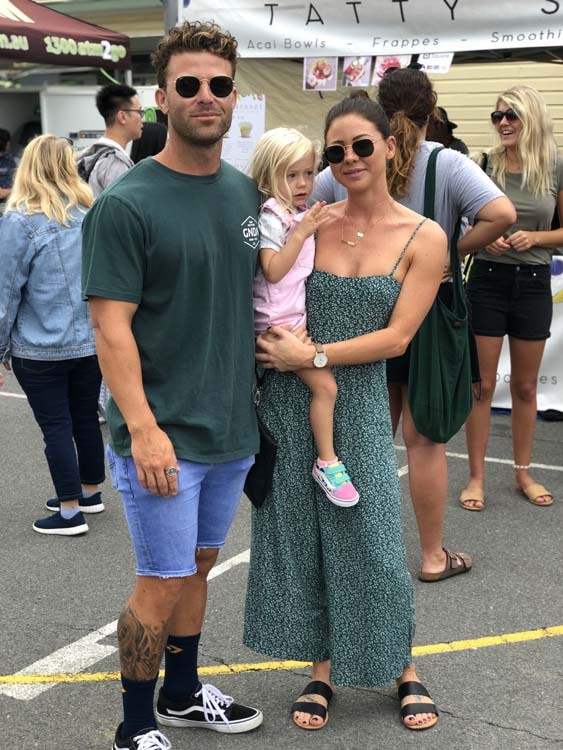 BLB: Prior to starting Bam Loves Boo, I was a ladies and children's wear designer in the surf-wear industry on the Gold Coast and had been a clothing designer for over 10 years. 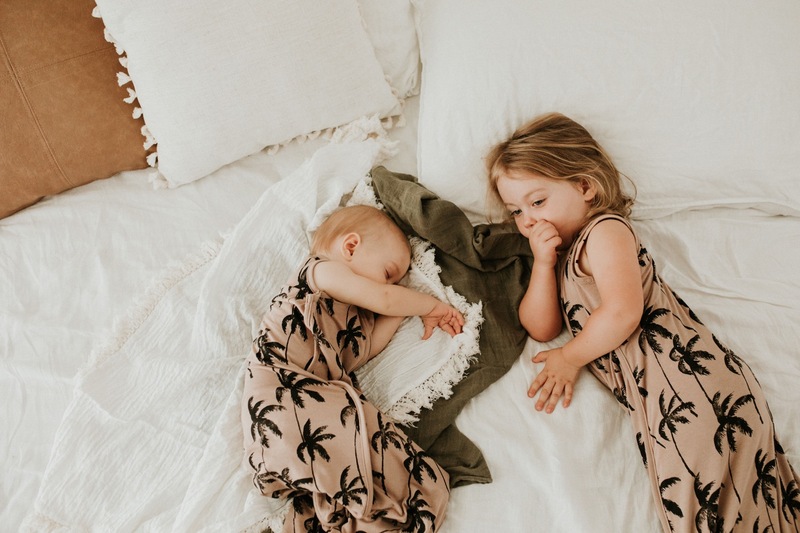 When I started a family and went on maternity leave I felt I needed that creative outlet, so I turned my focus to starting my own babies-wear brand. 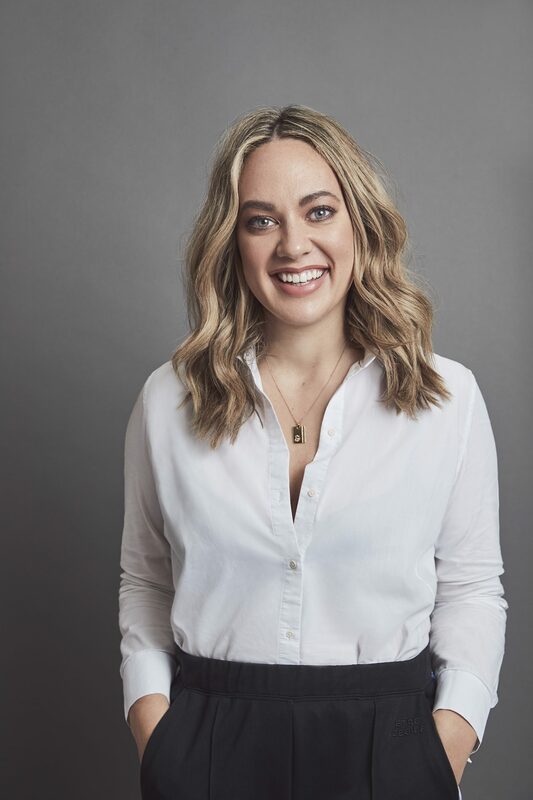 The flexibility and lifestyle that has come along with it has meant that instead of returning to work I have been fortunate enough to stay at home with my daughter and work from home. I started my business in January 2017 but it wasn't until November that year that I launched my website and clothing. It was when sister came to visit that it really started, until then it had just all been in my head but then it was once I started saying it out loud and had someone to bounce-off and ask questions, that it started to put the wheels in motion. 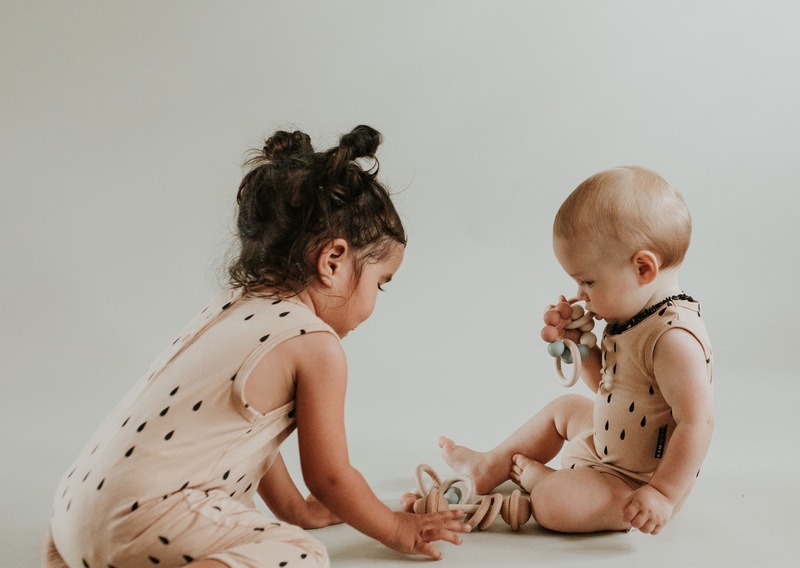 Bam Loves Boo is a babies and children's clothing range with clean and neutral colour palettes, coordinating prints and unisex pieces. 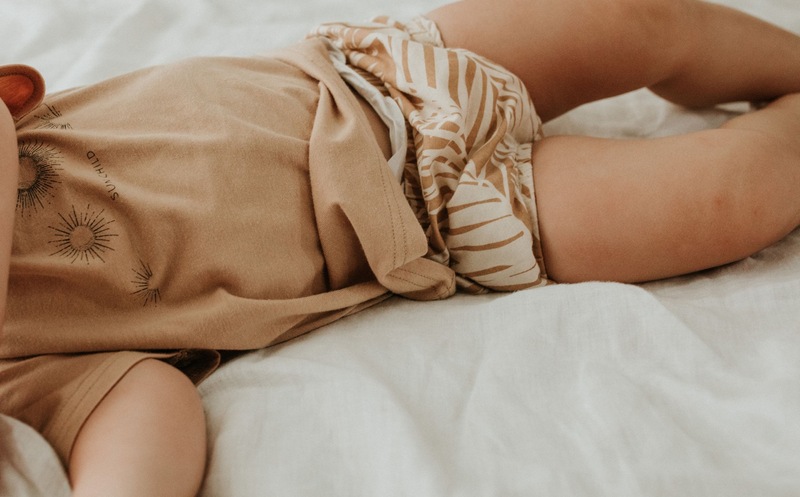 All Bam Loves Boo clothing is made from a unique fabrication, a perfect blend of bamboo and certified organic cottons, which means they are beautifully soft, stretchy and breathable for comfortable wear and play. It also means that they are environmentally friendly and sustainable. 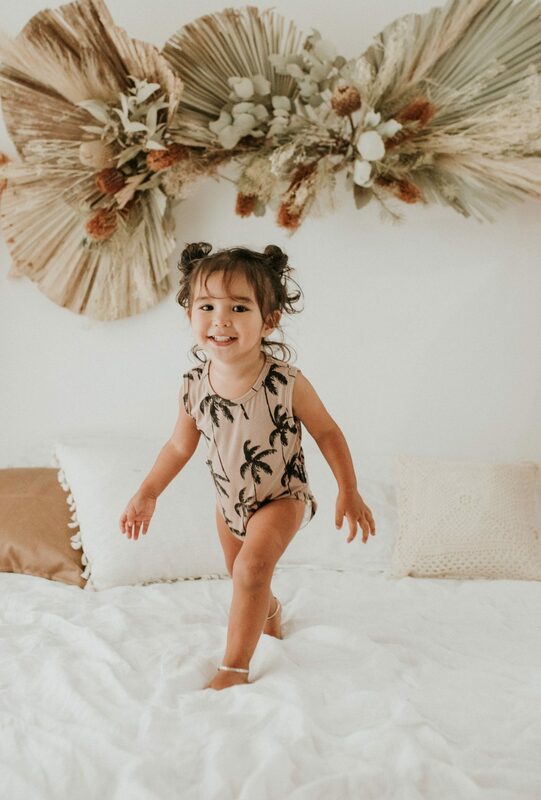 We are all about making beautiful clothing that you love, for the little people you love, in an eco-friendly and socially responsible way. 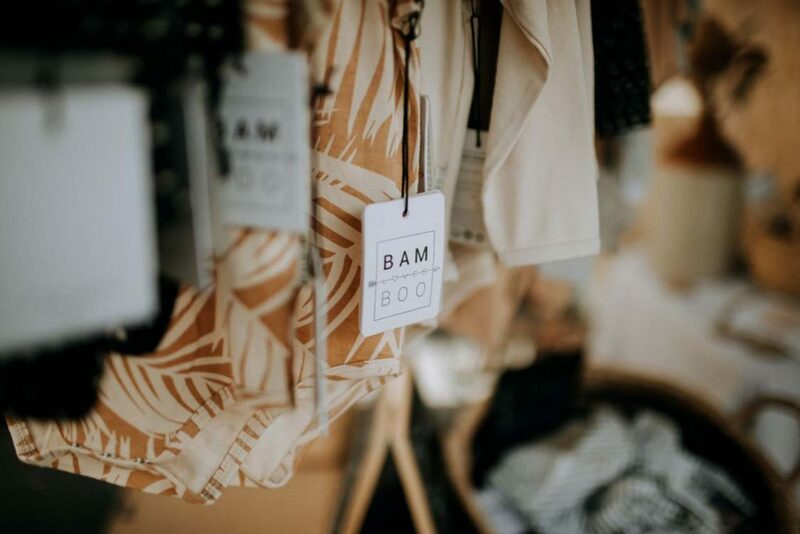 Bam Loves Boo is designed by myself at my home in Brisbane, I design all the prints, garments and colours myself and then the fabric is woven specifically for us to our required blend and weight instead of off the roll. This is then dyed using eco-friendly dyes, to my chosen colours. Bam Loves Boo is made in southern China with my fantastic manufacturer that I have known for over ten years, visited and built an amazing friendship with. This year I will be going over to stay with her family and see our pieces made first hand – and she just told me she is pregnant, so now I am even more excited to go and meet her own mini muse. It is very cliche by ultimately my daughter inspires a lot of my designs, as I learn as a mother from her what I look for in babies clothing. For example, we didn't find out her gender during pregnancy, which really helped to shape my brand to be entirely gender neutral. Then when she arrived, the priority was that it had to first be soft and comfortable but stretchy and easy to wear and put on and off. I decided early on that my formula would be one colour repeat-patterns as well as each one being unisex and timeless. Although it can be limiting, I find having a formula really helps to keep me focused and make it cohesive. Ultimately I hope it means I can stay at home working on Bam Loves Boo to allow me to be around my family in the early years. 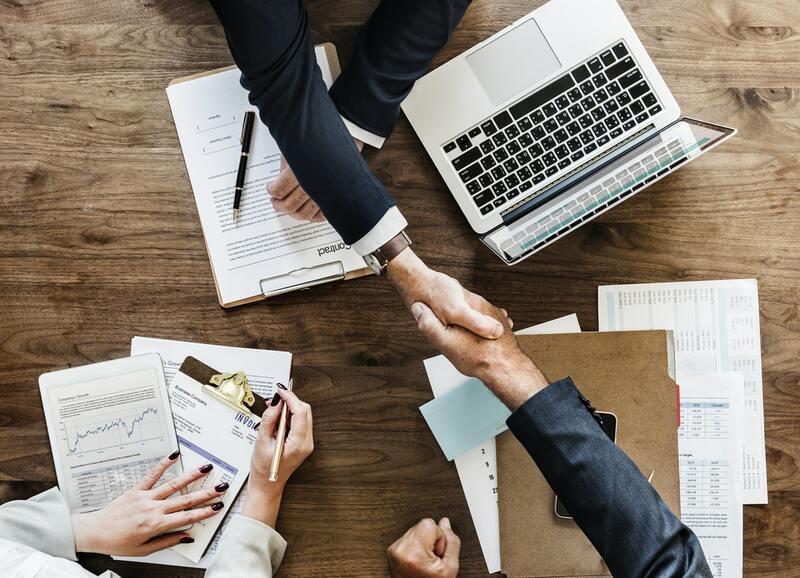 I have really enjoyed doing some fantastic collaborations with other local brands, where we have worked together on new products. I would really like to continue with this path. Definitely the ethical and eco-friendly side was most challenging and still is really. Sadly, its not an easy area to navigate, it’s cheaper and easier not to be environmentally conscious, so I felt like I was really having to go against the grain in all areas to tick all the boxes I was after. It was very challenging to ensure my ethical standards and needs were met and also to ensure these claims were backed with certifications. The freedom to work from home around my daughter and the friendships I made this past year through Instagram - it’s a pretty great community to be a part of. 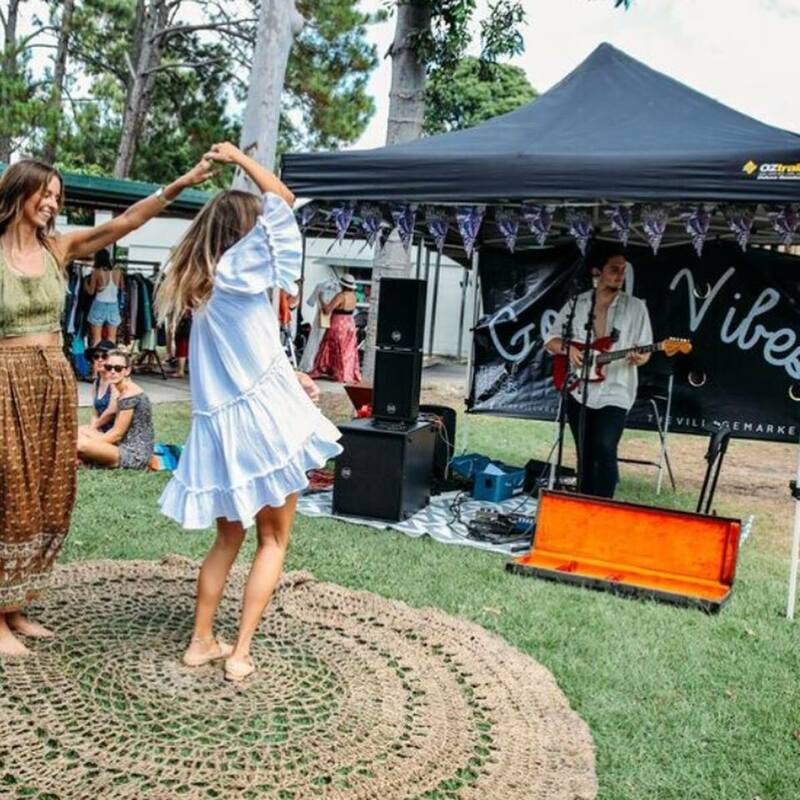 Join us for a party in the street this Sunday at TVM Stones Corner, where you'll find boutique market stalls, street eats, live tunes and good vibes from 9am until 2pm. 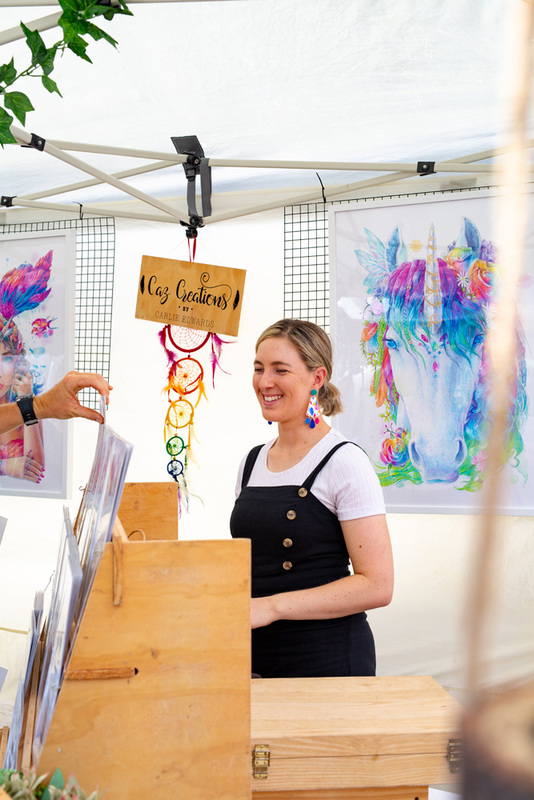 The Gold Coast's fave market is hitting the big city and we want you there celebrating with us and soaking in those creative vibes from some of the most talented small businesses around! 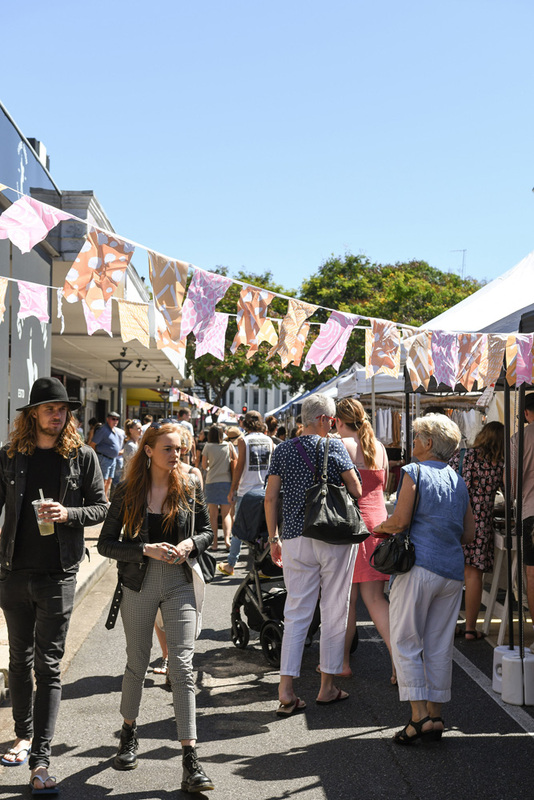 Shop, eat, chat to the makers and then find a shady spot to sit and listen to great live tunes with your favourite people. What better way to spend your Sunday? Share the event with your friends, here. Back in Brisbane this Sunday! No Comments on Back in Brisbane this Sunday! 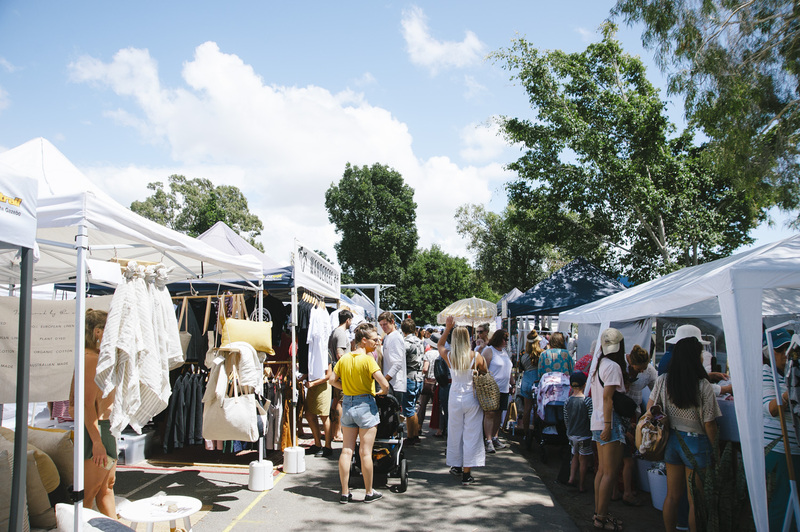 The Village Markets is BACK in Brisbane this Sunday, much to the delight of our northern fans. 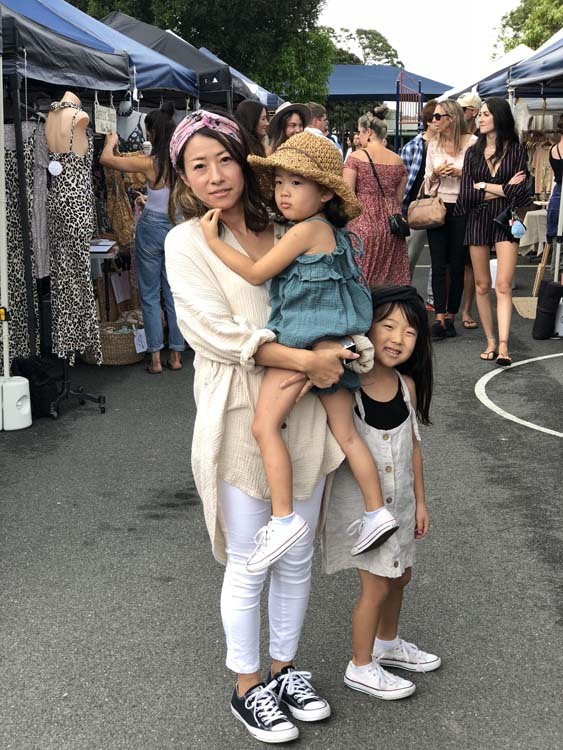 Gather your crew and make your way down to Logan Road, Stones Corner for the best in boutique market shopping, live tunes and street eats. We still have spots for the TVM Preloved Designer & Vintage Rack Sale at Stones Corner available too, apply here. Sunday 31st March 9AM-2PM at Logan Road, Stones Corner 4120. 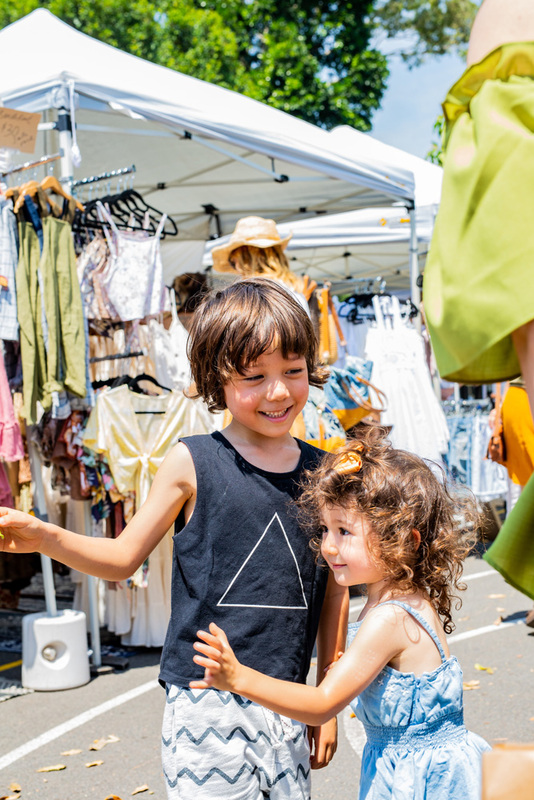 Gather your crew and make the most of your weekend at The Village Markets today. 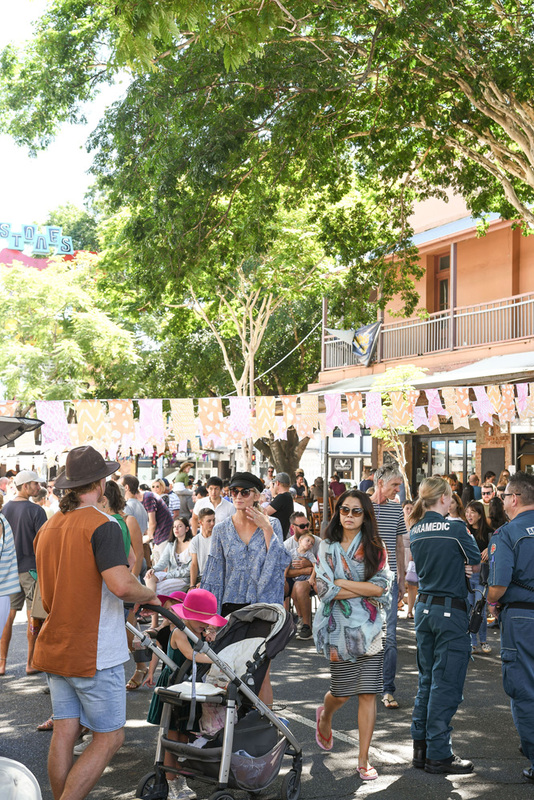 There's the best in boutique market stalls, live tunes and a impressive lineup of street eats. TVM is on this Sunday 17 March and we can't wait to soak in those Sunday vibes with you guys! 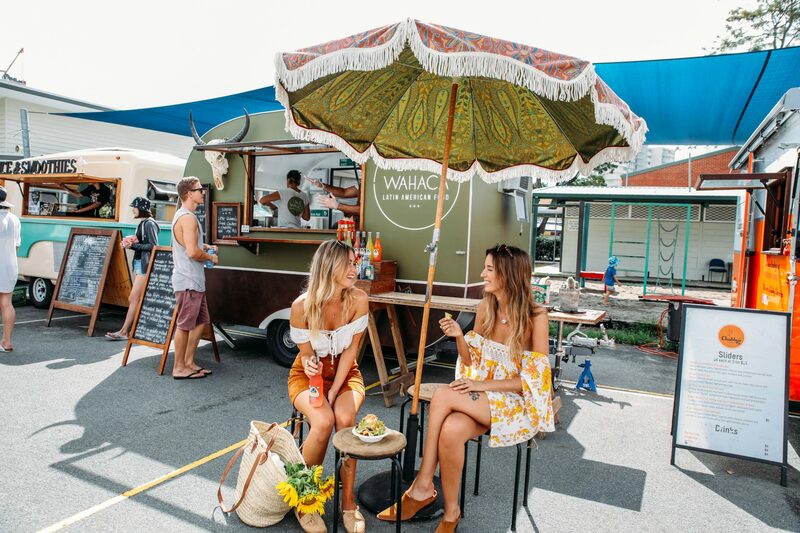 Find a sweet lineup of boutique market stalls, street eats, live tunes and we'll be shooting our new campaign so keep your eyes peeled - you may even be featured. 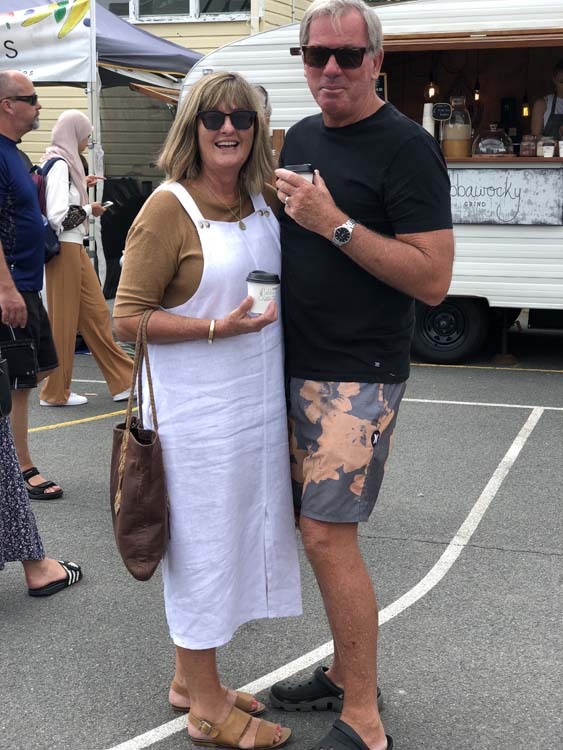 Foodies include Baby It’s Cold Outside, Beetnik, Hungarian, Jabbawocky Grind, Jardin Juice Co, Little Sprinkles Bakery, Little Wahaca, Matsu Shaved Ice, Monkey Magic, Raw Earth Organic, Smoothjuice, Wiener Haus, Wild Flower Patisserie and more. 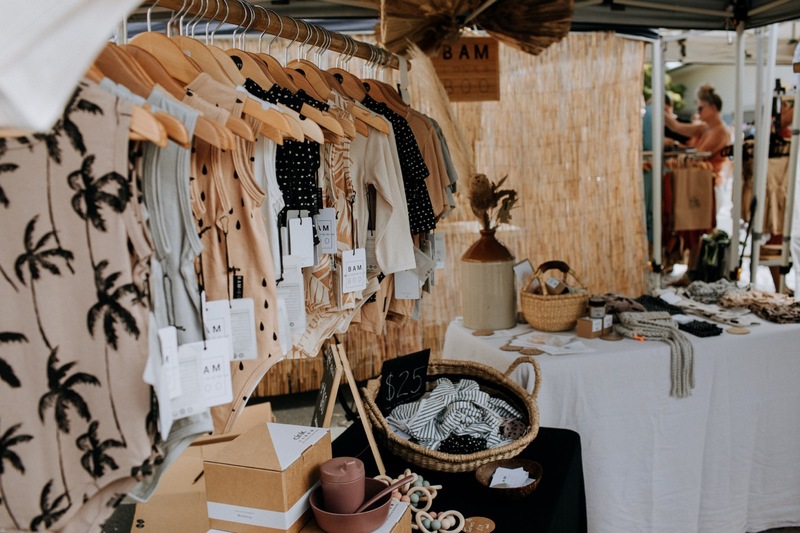 The stall lineup includes Alton Goods, ALULU, Attic Collective, Bali Batik at Home. Bandicoot, Batch Design Studio, Born The Label, Coastal Coral, DESERT WANDERER, Divine Creatures,, Drift Trading Co, Dust, Fabric of Society, Faith Designs, Forgotten Modern, Handmade Dreaming Co, Huckleberry Flowers, karasuccs, La Carolina, Lakiki, Lewd, Little Leas, Lotus and Luxe jewellery, Louv, manning made, Melon & Goliath, Mermaid Collective, NIAS Jewellery, Nicotte, Night Tiger The Label, Olas Supply Co, Rustic Peppermint, Smidge, STEVIE JEAN, The Lobster Shanty, The Love of, The Miniature Treasury, The Woven Store, Tusk Linen Co, Ukiyo Boutique, VASH, Zeffa and Fosse, Zella Swim and more. Plus tunes by Chocolate Ganache and Ondre Solien. 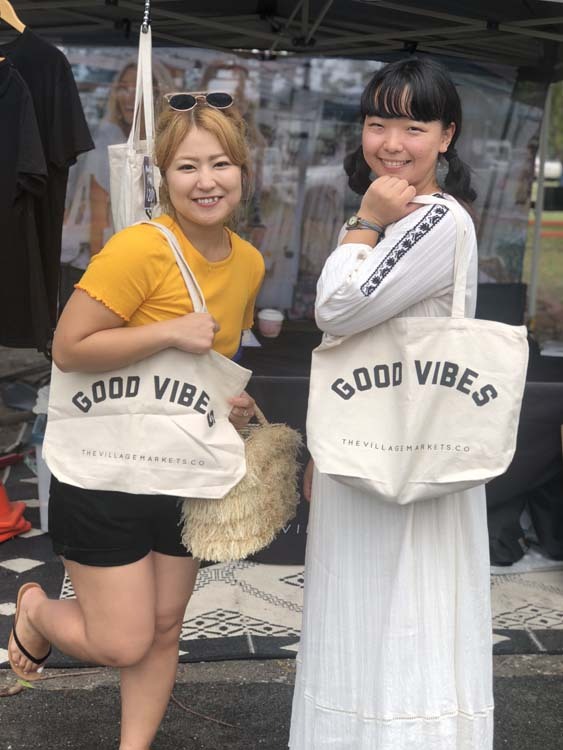 Pick up a TVM Good Vibes market tote from our info tent! 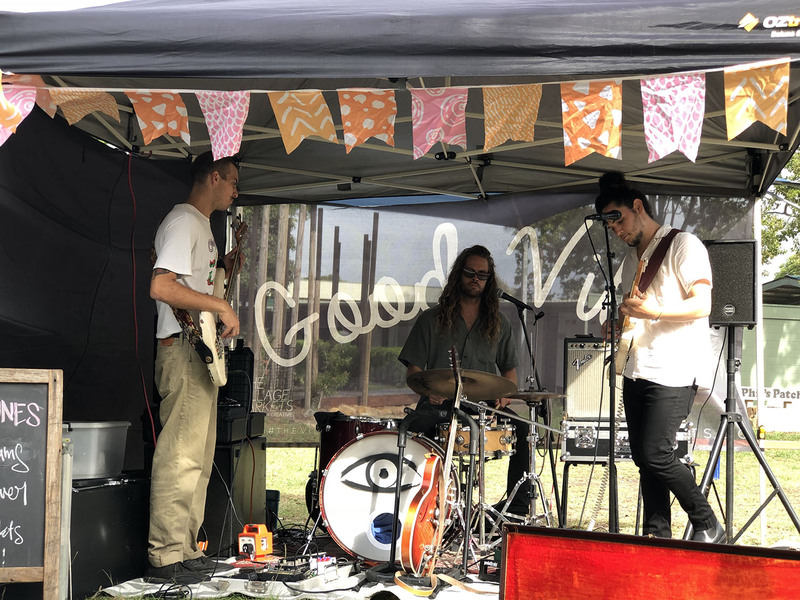 We're back with sweet live tunes for your Sunday morning at TVM - 17th March at Burleigh Heads State School. Come and find a cool space under the trees and listen to live local tunes. Acoustic soloists Nathan Melvin-Tong & Ash Riske recently formed together as Chocolate Ganache. With a natural blend of vocal timbres, the pair creates luscious harmonies and unique renditions of popular covers to captivate and cultivate beautiful sounds. One of our fave regular muso's at TVM, Ondre is not to be missed. 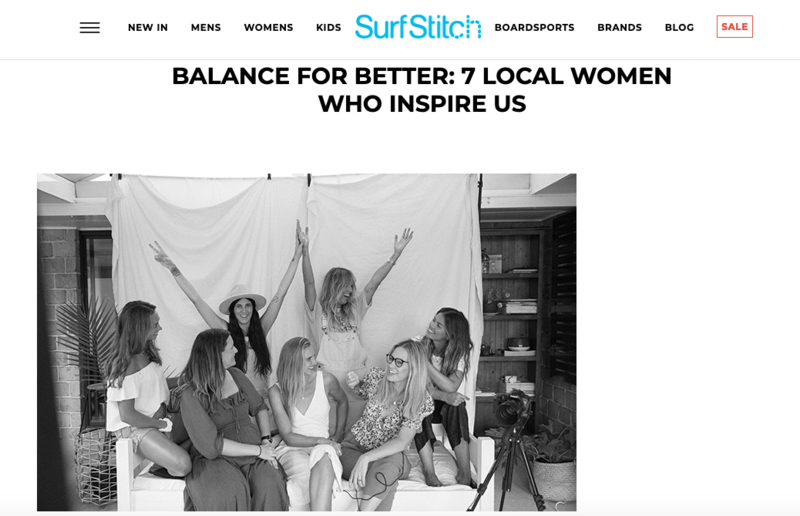 TVM Co-founders Marissa and Sarah recently featured in an International Women's Day campaign for Surf Stitch alongside a handful of inspiring local women, you can check out the full feature over on the Surf Stitch blog. Thanks to the team for having us and to Carly Brown for the epic photos! The style snaps from Sunday 3rd March TVM are now up, were you snapped? Sophie & Phoebe (in @ukiyoboutique).